The ratio of this punch is 1 part apple cider, 1 part ginger ale (or sparkling apple cider), and a half part of cranberry juice. Feel free to increase if you are serving a crowd. 1. Add ice to your glasses. 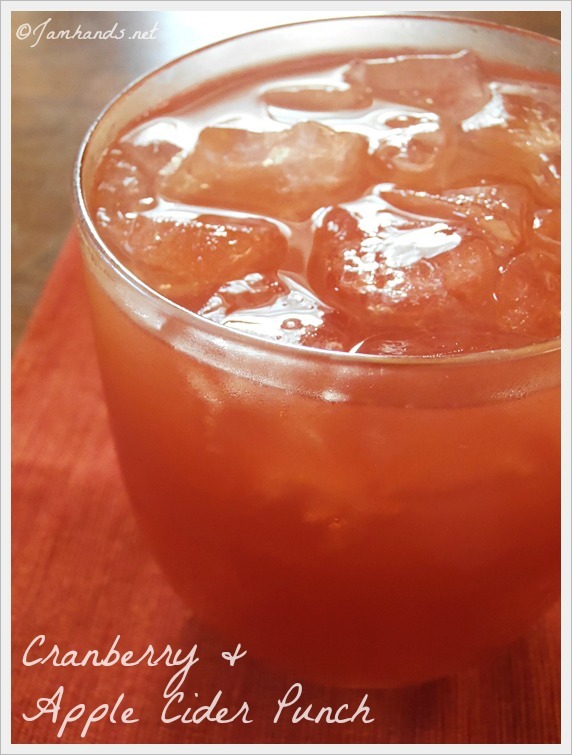 Pour apple cider, ginger ale and cranberry juice over the ice and stir. 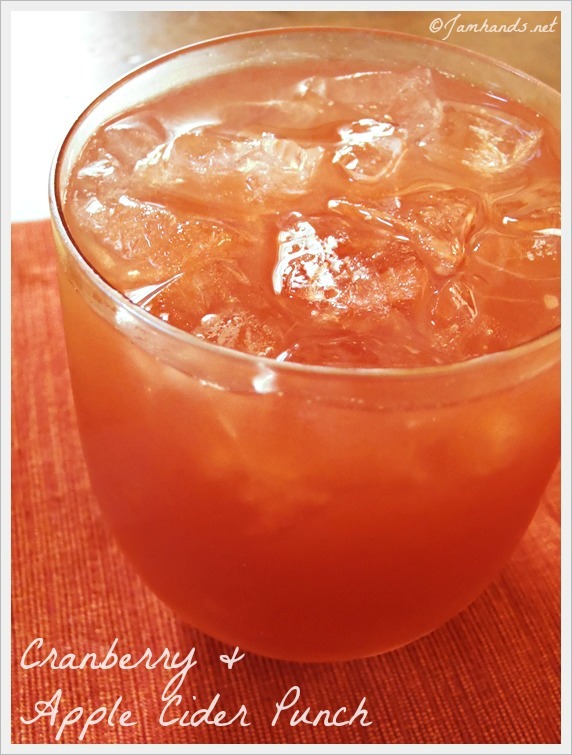 You've been reading my mind with these punch recipes! My sisters are throwing me a "Little Pumpkin" baby shower at the end of October, so it is all things pumpkin and harvest. There will be pumpkin cupcakes and we thought a cranberry punch would be nice to go with it, but when we saw your apple cider punch we changed our minds. That was perfect! And now you've added cranberry, our original flavor. Did you prefer one over the other? Which would go best with pumpkin cupcakes do you think?